Telepathy is compassion that is exercised, cultivated, refined, sharpened, made specific. In telepathic communication you start by using your heart, your body, your mind, your whole being, to be deeply present to another being’s experience. When an animal feels you connecting with them compassionately, they open up to you. In this open flow of connection between two beings, you can then each consciously send and receive images, feelings, thoughts, and sensory perceptions back and forth to each other. And by the way it works with humans as well, as we are animals too :-). This process is nothing short of magic, and profoundly healing. This is because telepathic connection with another being is a way into the experience of Universal Love—a force that is woven into the very fabric of Life itself. I feel this thread of Universal Love in all the work I do with people and animals, but it is especially strong with my international clients. In the first minutes on Skype with an international client, I can right away get a sense of the cultural layer in each of us. Recently with a client in Japan, and her interpreter, I noticed the polite and reserved qualities of the Japanese way of being, and then in contrast I noticed my more animated and enthusiastic way, that is so very American. But as soon as the interpreter began translating what I was sharing on behalf of my lovely client’s two dogs, the animals’ voices, and the experience of their love was the biggest presence in the space. And the cultural differences dropped away. 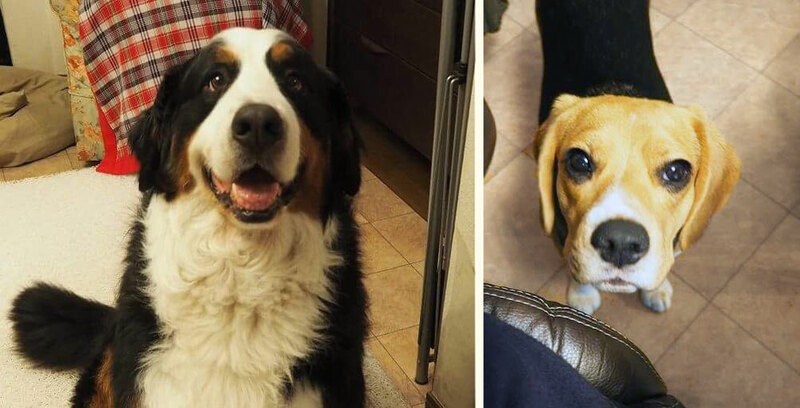 The dogs each shared about their unique personalities (very different) and favorite activities around the house. 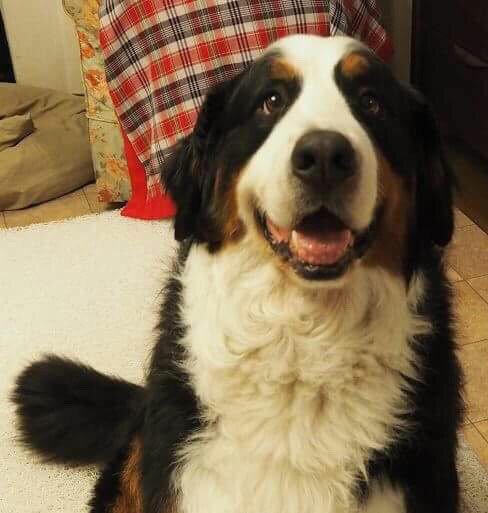 Raizo, a handsome Burmese Mountain dog, shared about what a strong and confident protector he is, and how he loves when people on walks admire his especially shiny fur (very true his person said). Getting older now, he also shared specific things about his health issues and answered my client’s questions about what was hurting him where, and how she could better support him in his old age. He shared his feelings about his eventual passing, his sadness and his desire to still be present in Spirit for his person after he leaves his body. 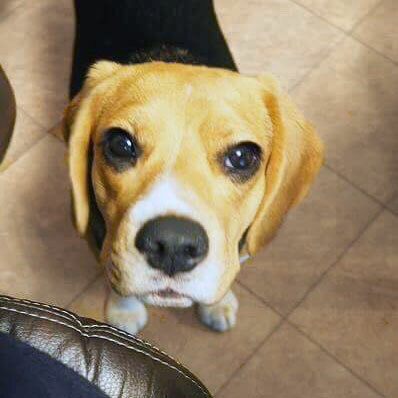 Biwa, a beautiful little Beagle dog, shared how she LOVES being a show dog and it made her so proud to serve her family in this way. She said she doesn’t mind spending time with the trainer at all. It is fun! She also confided that, while she is not ready yet, she looks forward to someday retiring and having a closer connection with her people day-to-day. She said she will be more mature then. With openness, innocence, devotion, and sincerity, they each shared how they love their people and their lives with them. As I translated for these dogs, I remember feeling very connected to my client and to the interpreter, in contrast to the sense of separateness from cultural differences at the beginning of the call. There were no divisions there; we were all basking in the individual cuteness and unique beauty of each dog’s presence. I now have clients on all 7 continents (yes, Antarctica too!). All over the world, the sense of separateness among different beings is falling away, and people are acknowledging the depth and beauty of their friendships with beings of other species. And, by doing this, they are opening more and more to this greater principle of Universal Love, a principle that unites all living things. While animals are not enlightened beings (they have pain too, and are subject to jealousy and cruelty just like human animals), the relative clarity of their minds and purity of their hearts make it easier for them to shine their light, and in this way, shine these principles of Universal Love and the Inherent Beauty of All Life. We humans can do this too, we have just forgotten! These essential truths are so clear in us when we are children, but they get buried under complicated belief systems and emotional complexities as we age. Now more than ever, we humans need to connect back to this pure light inside ourselves—the part of us that knows how to open our hearts to love and appreciates the simple and profound joy of being alive. Isn’t it so surprising, we can find access to our deepest, truest selves through the presence reflected in the eyes of creatures of other species.